Tenor saxophonist. Moved to San Francisco in 1959, and then New York a few years later. 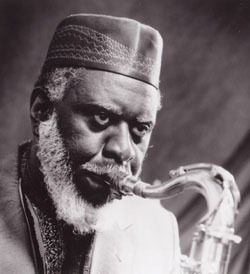 In the early 1960s he worked with Sun Ra, who encouraged Sanders adopted the name Pharoah. Performed with John Coltrane's ensemble from 1965 until that musician's death in 1967.